The Rt. Rev. 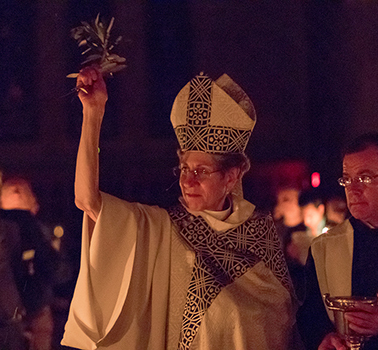 Katharine Jefferts Schori will preach at the Easter Vigil at St. Paul's Cathedral at 7:30 p.m. This will be her last Easter Vigil with us as our assisting bishop. Traditionally, baptisms, confirmations, receptions and reaffirmations take place at this special service.